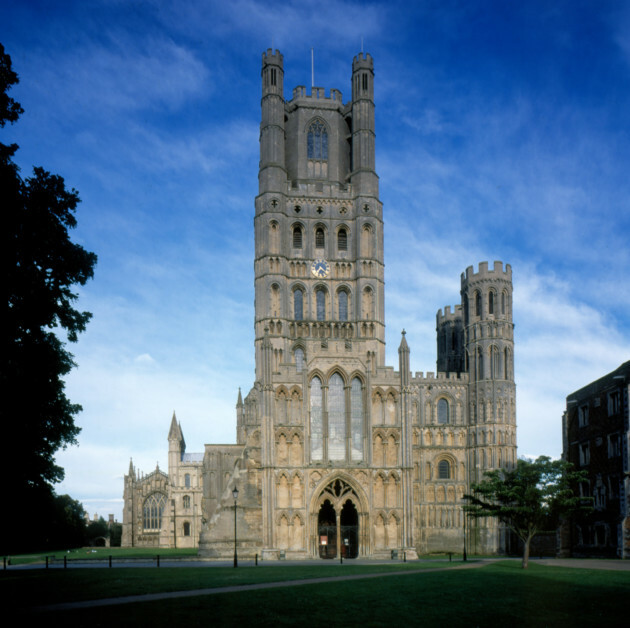 Many are surprised to find a vast, architectural wonder in such an unassuming place as Ely, but are soon to discover that the cathedral’s prominence is down to centuries of devotion beginning in Saxon times. Discover the story of the cathedral from the ground up, burning calories as you go! The cathedral was founded in AD673 by St Etheldreda, a Saxon virgin queen of East Anglia, who fled her marriage to become a nun. Her life was cut short by the plague in AD679, and it was pure chance that led to her canonisation, when 17 years after her death her remains were found to be unspoiled – even signs of the plague had healed. 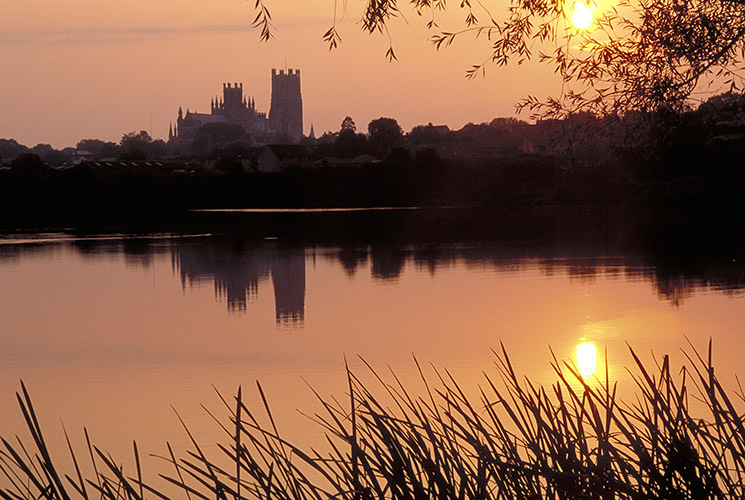 Etheldreda’s name carried far and wide and Ely became a place of pilgrimage, her monastery for monks and nuns flourished for well over a century. Despite being destroyed by the Vikings in 869, the building was eventually re-established a century later by the devoted Benedictine order. By the 11th century, their handiwork was embellished by the new Norman power, which saw the towers of the cathedral soar higher than ever above the fen landscape, symbolising power, wealth and prestige. 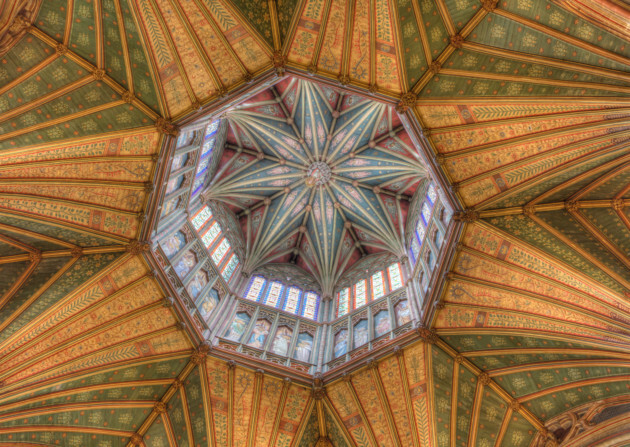 Visitors can today admire the Octagon, the gravity defying 14th-century oak, lead and stone tower which was constructed following the shock collapse of the original square Norman tower in 1322. The octagon’s construction defies logic, taking into account the tools the craftsmen had to work with of the time. “It’s a unique design,” says cathedral tour guide Traci Bosdet. “Nowhere else in the world will you find a medieval wooden lantern within a stone octagon.” For protection, the lantern was later encased in 400 tons of lead and other materials; it’s a wonder the building hasn’t sunk under the load. The tour’s destination is to reach the level of the angel panels, a series of elaborate Victorian artworks positioned just below the Octagon ceiling. Reaching them involves ascending 165 breathe-in and watch-your-step spiral stairs; it goes without saying that a reasonable level of fitness is required – and prepare to reschedule if the weather is bad as the route leads onto the roof via a parapet path. Here, views extend for miles, but it is the roof itself with its complex features of buttresses, pinnacles and carvings that really draws the eye. Though far from the scrutiny of those below, beauty is in the detail. It’s not until entering the lantern tower that the visitor can appreciate the science behind the invention. The bones of the structure – an octagon secured with huge oak beams – each bear a share of the enormous weight. A closer inspection reveals graffiti on the beams and underside of the angel panels, left by generations of builders, conservationists and those who have been involved with the church over the years. “During the Second World War, when Allied aircrews were stationed in the region, airmen would write their name here, asking the angels for protection,” explains Traci. “Unfortunately, some unscrupulous visitors have signed their names since, defacing this historical document.” The angel panels can be opened and viewed at close quarters; revealing the majesty of the Octagon, its colour, symmetry and heady height – not called the jewel in the cathedral crown for nothing.